Detailed instructions for setting all of this up in Windows or Mac are pretty well covered by either the Raspberry Jam instructable, or the PythonTool instructions. You could of course combine all of those install steps into one long one…. Install per normal (for the JAR, just move it from your Downloads to somewhere handy) and run the game once to create a game Profile and download the game assets from Mojang (type java -jar Minecraft.jar from a Terminal to run the JAR, or double-click it should work too on Linux and Mac). 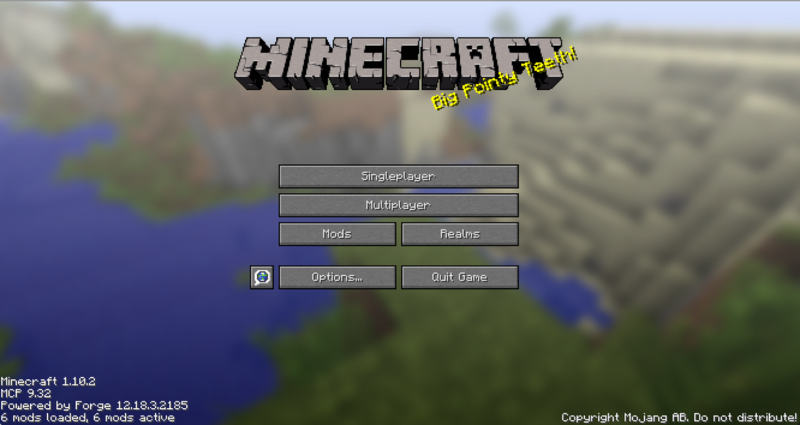 You can now reach the Minecraft Profiles quickly and easily. 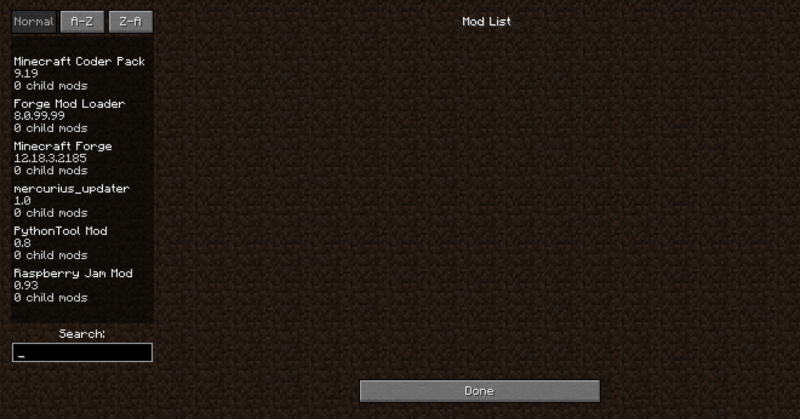 This is where Minecraft's game settings and Worlds are kept. It's also where we install the mod's, so for brevity, since the instructions from here on are the same for each OS, I'll call this location $MCPROFILE. You can substitute that for "~/fun/minecraft" or one of the locations above for your operating system. and then Save the file (Control-S or Command-S). 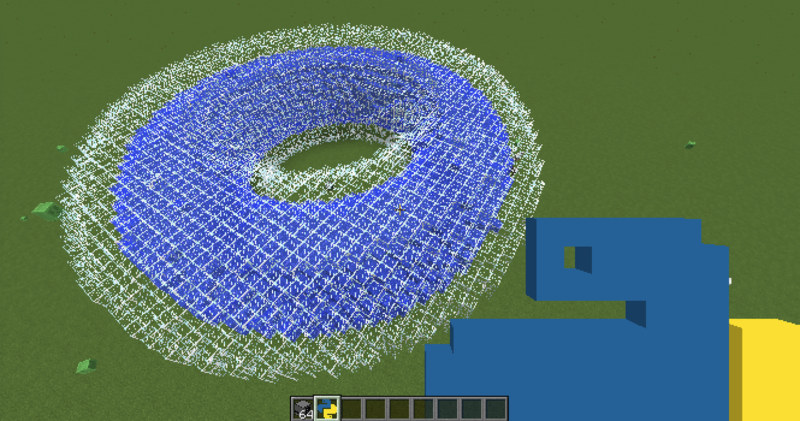 Next time you start Minecraft it'll behave like the Pi edition. Since I'm using PythonTool Mod, then the install instructions for that are the most appropriate to follow. This also installs Forge and Raspberry Jam. This is enough to get you going either with the instructions from PythonTool or the Raspberry Jam instructable (from after its steps on installing all the prerequisits). 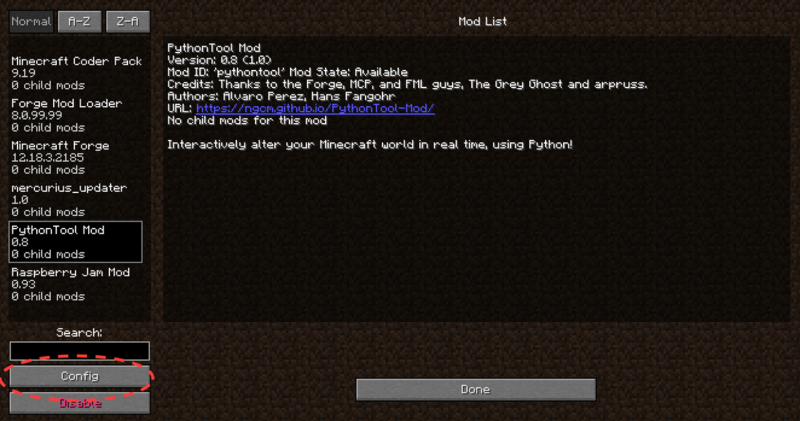 Now is a good time to start Minecraft with your forge profile and confirm that it's working, and that Raspberry Jam and PythonTool both function properly. 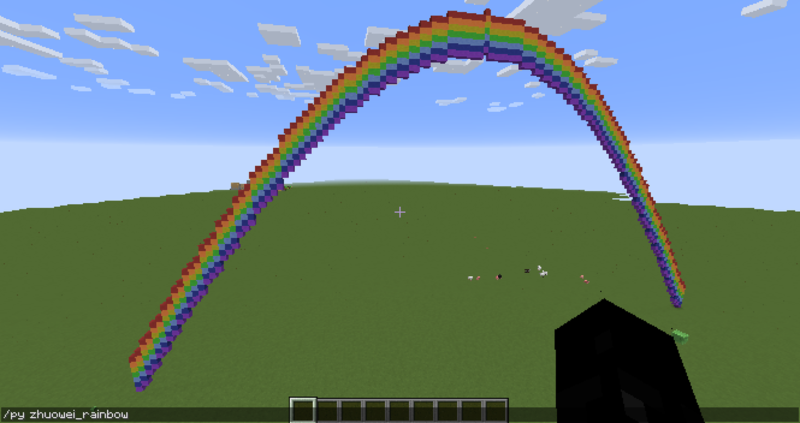 Type /py zhouwei-rainbow in the Chat. A Rainbow should be created! PythonTool gives you a new Block type called "Computer". You should see that it works like a Chest and has items for all the Python Scripts from the python-scripts.zip file. You can Equip those and Use them to run them instead of typing /py all the time. If it all has gone well, you're good to continue. 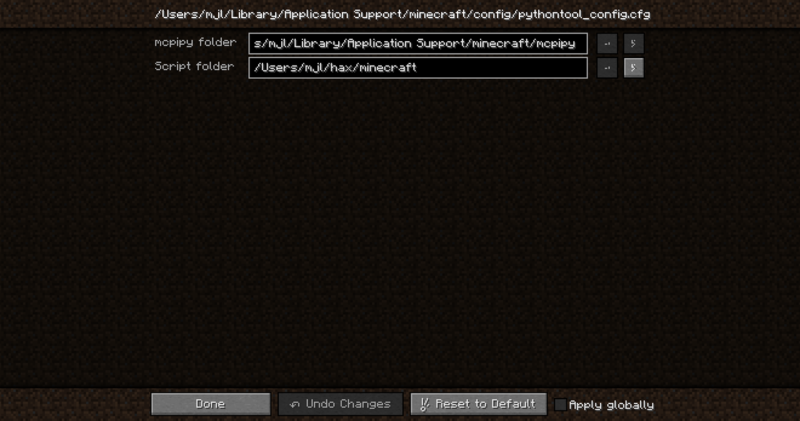 I like to have a separate folder for my own Minecraft Python scripts. Then I can copy in examples from the python-scripts.zip file one at a time, add them to source control such as git, and make changes, tracking what I did. PythonTool supports this, which is the main reason why I want to use it. git commit -m "add a rainbow from the examples. This will be changed a bit later on"